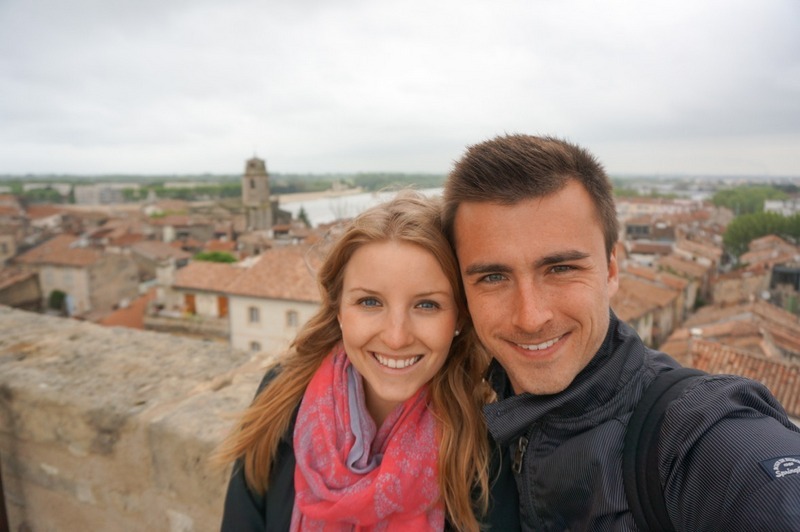 Jen & Ted are a frugal-minded couple with a passion for travel. In 2012, their lives were consumed by one-track careers and a habit of making their condo resemble an IKEA showroom – until something triggered the desire to change. In their two-week, once-a-year vacations, they kept meeting people who didn’t seem to have a lot of money, but were travelling much longer than they were. They were baffled – how were these travelers doing it? Well, they finally decided to drop their jobs, sell all of their possessions, and see for themselves. 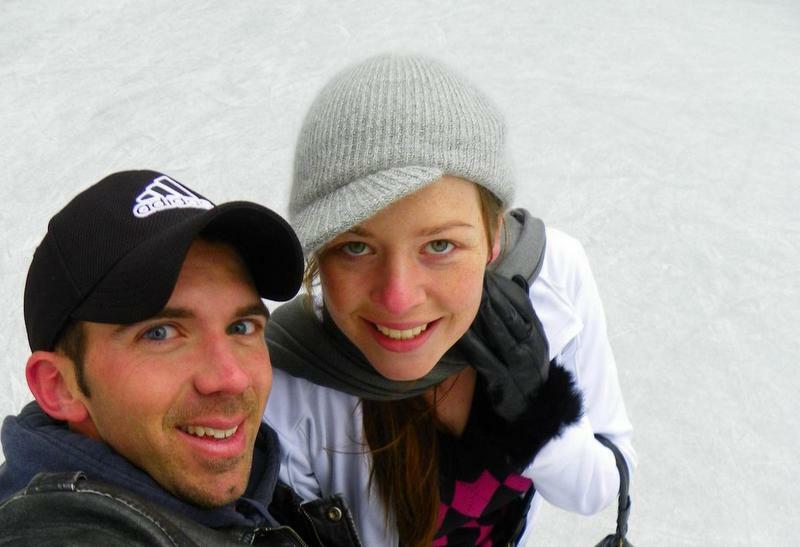 They quickly learnt that travel is cheaper than many think, and have been hooked ever since! How do people travel with no money? They created Thrifty Nomads to share cost cutting tips and inspire affordable travel. By offering practical advice and insights, they hope to encourage more people to explore this beautiful world. 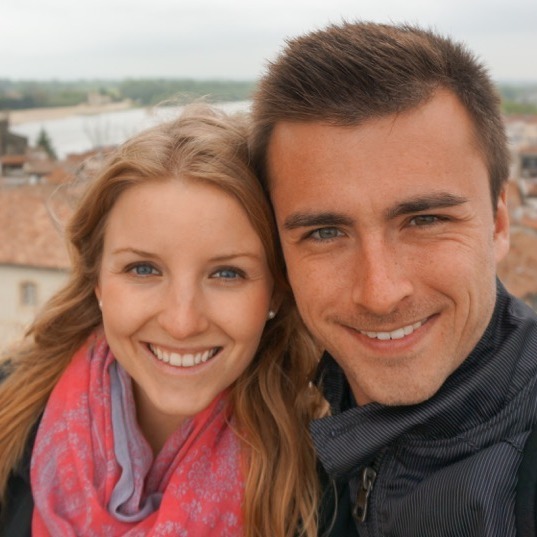 In their interview today they share about what life is like traveling as a couple, and the answer they’ve since found as to why travelers with less money can travel longer than you. The constant newness it exposes you to. New people, culture, sights, and foods – your day-to-day life is filled with foreign and eye-catching things. There is something deeply satisfying about continually having your curiosity tickled like that. How do people afford to travel? Biking the Atacama Desert in Chile. It started with that gut-wrenching feeling of returning to work after our 2-week holidays each year. I’d find myself pondering about the people we’d met, who were travelling much longer than us, on hardly any money. It pained me to know that by the time we returned home, they were still exploring. I wanted to do that too, but it seemed all we could do was eagerly dream up next year’s vacation instead. How do poor people afford to travel? Finally, we acknowledged the truth: if we kept travelling on annual holidays, it would be impossible to visit all the places we wanted to see in our lifetime. We now had the insatiable itch to travel, but two events pushed us to make it happen. Why can everyone afford to travel but me? One of them, was reading a life-changing book: Vagabonding: The Uncommon Guide to Long-Term Travel by Rolf Potts. It clearly spelled out how to make long-term travel a reality, from selling everything to travelling affordably. We sold all our possessions, backpacked for 6 months, lived in Australia for a year, and finally returned to Canada to visit and explore home. Currently we’re on the road again travelling long-term. Enjoying the heat in the Moroccan desert! What is Thrifty Nomads all about? Thrifty Nomads is about inspiring affordable travel for all. Like many, we too once believed that travel was something only people with certain entitlements could enjoy (e.g. an inheritance, parents footing the bill, a job that pays you to travel – none of these apply to us!). Being perpetually frugal people raised in single-income homes, we discovered that travel is much, much cheaper than people think. The epitome of Thrifty Nomads is to help others to reach their own travel dreams via practical means we use ourselves. How do I travel cheaply? To SLOW DOWN! There’s so much more to travel than stepping into a country’s border, visiting the main attractions, and saying that you’ve “been there”. Coming from Canada where you count holiday time like pennies (and then walk on eggshells to request it), the initial vastness of long-term travel made us overwhelmed and overconfident. We went way too fast the first time around, but still had one heck of a time. What I would say to anyone starting a long-term adventure is this: do not feel the urge to checklist travel. Take it slow and enjoy what’s around you. Love a place? Then stay there longer – some of your most cherished memories can happen when you just really soak up somewhere special. Hanging with wild deer and cherry blossoms in Nara, Japan. Do you find planning a trip as a couple difficult when there are two sets of interests to cater to? We are fortunate in that we genuinely enjoy the same activities, food, and are quite agreeable when it comes to deciding day-to-day happenings. Take note though, that doesn’t mean agree on everything! The biggest struggle we have is not choosing destinations but deciding a pace. Ted prefers to move more quickly than myself, and so we have to make compromises for each other. How to travel cheap? We just try to alternate paces and respect the other’s needs to make it work. It’s fulfilling to be with someone who fully understands every amazing, quirky, stressful, and inspiring moment of travel. From the most beautiful thing you’ve ever seen to those “I just want to go home now” feelings. There’s also the hefty pile of inside jokes and memories you’ll develop not long into your journey, which is equally awesome. Now, those “I’m going to kill you moments”? Oh, they happen! Travel is radically different from “at home” life with a partner. The 8 hours you’d normally spend apart at work? Gone. Separate hangouts with your own groups of friends? No more. How do people have the money to travel? You’re now together 24 hours a day, 7 days a week, except for shower and toilet breaks. That’s a lot of time to spend with one person! The fatigue, and frustration is inevitable – what matters is how you manage them. I wrote all about the good, bad, and fugly of couple’s travel, but put simply nothing has stretched and strengthened us more than travel! Open, respectful communication is essential. That’s by no means easy though, especially when you’ve got two angry, exhausted and/or hungry people. Recognize when conflict is not going anywhere and start thinking of ways to resolve it ASAP, even if it’s simply “we’ll agree to disagree”. No one needs to “win” every argument. Tips for traveling as a couple. When you do fight, choose words carefully, they can’t be taken back! Be accountable for your actions. Were you needlessly grumpy today? Did you snap for no good reason? ‘Fess up and apologise! Have a team mentality and don’t play mind games. If you have a problem, state it in a non-confrontational way. The quicker your bring it to the table, the quicker it can be addressed and life can move on! Hiking the beautifully epic Torres del Paine, Chile. No matter how small, we find separate activities to spend time apart – daily jogs, groceries, cooking, laundry, working in separate rooms, or going out for our own meals. You’ve got to make spending time apart a normal part of your routine, as it would be “back home”. Just don’t wait until tensions are high to do so – have it be a regular norm. How do you stick to a budget when you travel? 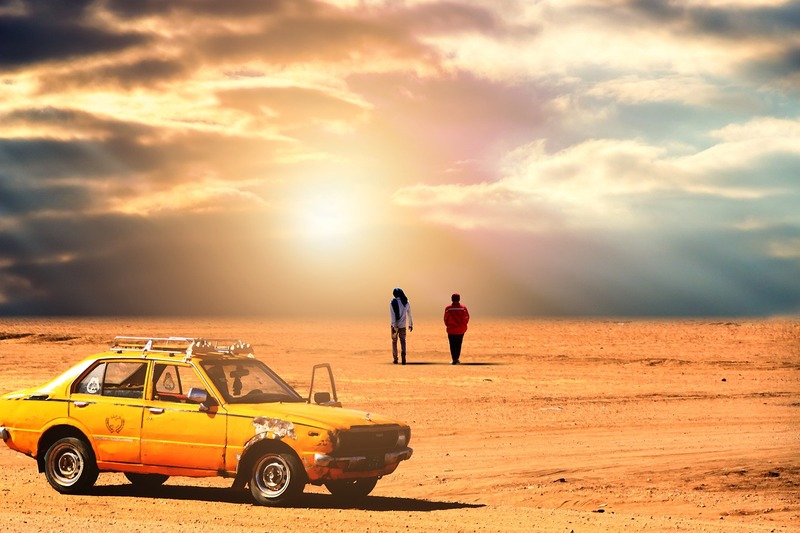 Do you find travelling as a couple means you manage to travel more frugally? It’s certainly more affordable to travel as a duo, and some days we even hit Nomadic Matt’s $50/day budget for the two of us. Accommodation is a great example: a hostel dorm may cost you $30 per person in Tokyo, but we just scored an entire private AirBNB apartment near the city for $40/night. 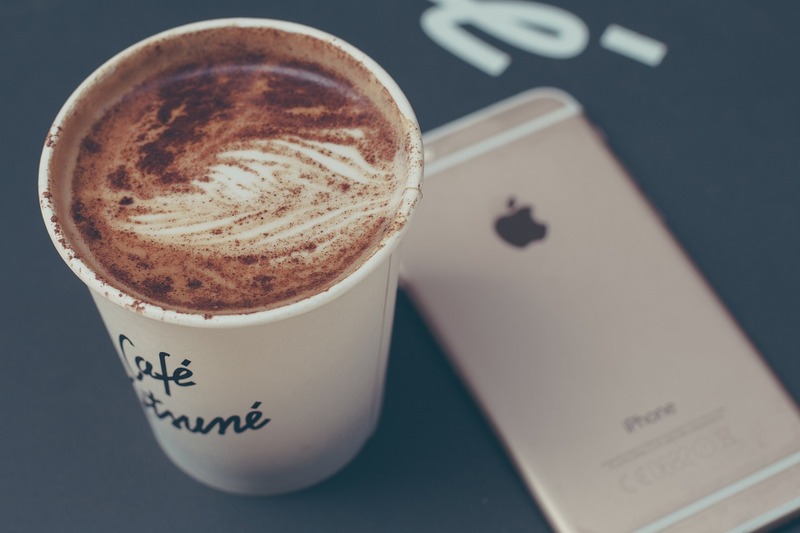 Meals or coffee can also be stretched further when there are two to share – our most common hack being to buy a large coffee & split it, instead of purchasing 2 smalls. What are your “Thrifty Guides” all about? Our Thrifty Guides offer practical advice to help people travel cheaper, sooner. This includes at-home tips to save up for travel, such as how to master couponing, cut food costs, rent your home on AirBNB, and effectively sell your belongings. 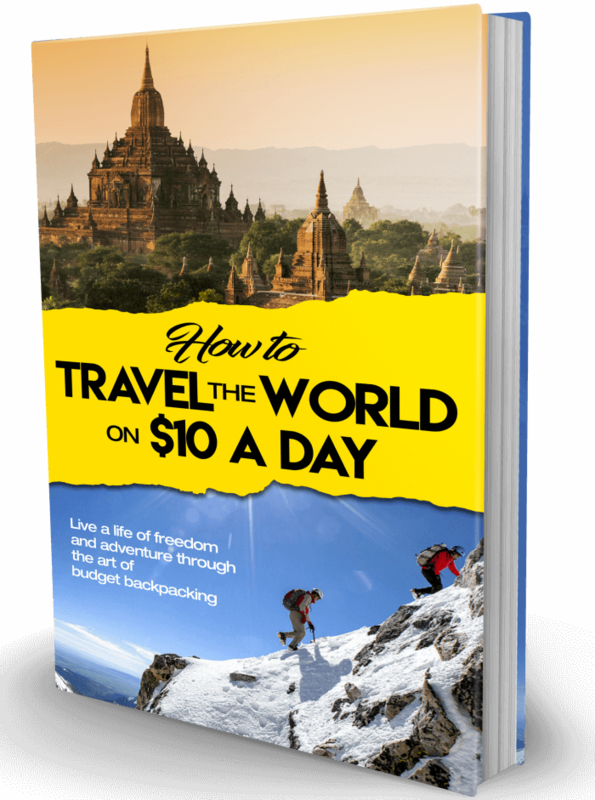 The other aspect of the guides is on-the-road thrifty topics, such as the best fee-free debit/credit cards for travel, how to find $1/day RV relocations, and how to book the cheapest flights, accommodation, and car rentals. What are some tips for finding the cheapest travel deals? Travel deals happen a lot, but you’ve got to be in the social media know-how to hear about them. Follow airlines, hotels, and car/campervan rental companies on Twitter, Facebook, and sign up for newsletters. Seat sales, relocation deals, and flight pricing errors happen all the time, but you’ve got to be looking for them! When booking anything, crosscheck a couple of broad search engines to get comprehensive results. When it comes to searching flights, always search incognito (we’ve got more tips on cheap flight-booking here). When reserving accommodation or car rentals, always check if there’s free cancellation. If there is, you can secure a deal in advance without consequence, buying you more time to shop for alternatives. Just make sure you know the cancellation deadlines! What are some tips for keeping your accommodation costs low? Think outside the “hotel” box! If private accommodation is what you’re after, consider hostels, guesthouses, house sitting, and AirBNB. Anything but a hotel will nearly always be cheaper and cleaner than people think. Working in exchange for your accommodation is also a great way to travel for “free”. Many hostels allow this, and this is also the concept behind WWOOF (worldwide opportunities on organic farms) and HelpX (working in exchange for accommodation in lodges, ranches, farms, and more). Couchsurfing (free) provides a more immersive cultural experience, and is perhaps the most socially intimate of these options. If travelling somewhere where you want to drive, consider if a campervan, small RV, or camping would be cheaper. If your plans are flexible, seek out vehicle relocation deals. Think outside the “hotel” box! Your #1 money saving tip for the frugal traveller? Change your travel attitude. I’ve talked about this before, but an open mentality will save you far more money than any other tip or hack we could offer. Staying in apartments over hotels, flying budget airlines over full-service ones, couchsurfing over guesthouses, housesitting over fast-paced travel, etc. Travel can be both affordable and fulfilling, if you’re open to some of the less conventional ways in which it can be done. Portable coffee filter. It fits in a mug and is a godsend when you just can’t have another instant coffee – a point I think we reached long ago. Our camera. This is the main way we capture memories and experiences – cannot walk out the door without it! Laptops. As much as we love to explore disconnected, we live in a digital world. Staying in touch with family & working is made possible via our must-have Macbooks! We’d love to see Iceland, Scandinavia, and re-visit New Zealand more thoroughly. Like many, our list is forever growing. We like remote and offbeat places, but also travel based on proximity, cost, and intrigue at the time. Do some research beforehand, but not too much. On the flipside, exotic as it may sound to travel wherever the wind takes you, being totally uninformed could cause you to miss amazing experiences/events that may be seasonal or annual (speaking from our own mishaps on that one!). Beyond reading up on a place, don’t over-plan. A rigid schedule means you can’t join spontaneous plans with newly made friends. It also prevents you from taking advantage of last-minute travel deals, or from staying longer in a place you’ve fallen in love with. Research is good. Over-scheduling is not! It will change you in ways you can’t comprehend until you do it. “Travel” is so radically different from snippet holidays once a year – a fact I once consciously denied years ago. It’s not uncommon to regret not having travelled more – don’t echo those same regrets! In my experience, I’ve yet to meet someone who wished they’d seen less of this beautiful world, no matter what sacrifices they made to do it. Making long-term travel happen is inconvenient. It takes effort. But it’s not impossible. If you have the itch, act on it. You won’t regret it. I promise! By offering practical advice and insights, they hope to encourage more people to explore this beautiful world. Jen is the primary writer behind Thrifty Nomads, while Ted is the co-editor and main video producer. Together they love exploring offbeat places, tasting new foods, and experiencing foreign cultures – thriftily, of course! Thrifty Nomads offers practical advice to save up for travel as well as on-the-road cost cutting tips. If affordable travel and wanderlust inspiration intrigue you, follow us on Facebook, Twitter, Instagram, Pinterest, and Youtube. What a lovely couple. I totally get those “I’m going to kill you moments, but you do work through them. I also agree that slow travel gives you the chance to understand local people and customs a lot more. Good on them for going for it. you can never regret choosing travel. Cheers Paula! We always tell people we’ve never met someone who regretted travel, even when we’ve been driving each other completely crazy! It’s a life changing experience that’s for sure. Traveling together is the perfect test. I feel like no one should ever get married until they survived traveling together. You can reduce costs a lot if you are a smart planner and if you benefit from deals, coupons and so on… but not everyone wants to go down to “rock bottom”. That inspires me to really slow down the next time I am somewhere new! Nice interview. Isn’t it surprising how much less expensive it is to travel than people think? I hope you inspire other people to follow their travel dreams and congratulations in realizing yours. Thanks Jen! That was the first surprise for us hitting the road (we began our first backpacking trip in South America). Couldn’t believe all the money we’d wasted in years prior on those short but pricey trips! Sounds like the Thrifty Nomads and us Economical Excursionists are in the exact same boat! I love pinching pennies just to extend our travel and show that you DON’T need tons of money to make it possible! I think more people have realized that an annual two-week vacation is never going to be sufficient for them to visit everywhere they’d like. It seems like we’re seeing more people opt out of corporate, conventional expectations. We certainly have and we love interviews like this that describe how others make it work. You know I never thought about ordering a large coffee and splitting but it makes all the sense and I bet that applies to many other things. I waste a lot of money because I am always time starved but I do believe sometimes just being aware will save you much money. Thanks for always bringing interesting stories! The 24/7 aspect of travelling with your partner can certainly be a challenge! I know that was the case for me, on my first 2 year RTW trip! It definitely has not always been easy. We’ve learnt a LOT along the way, as you & your partner probably did too on your 2-year stint! What a great couple with an awesome story.I love reading about how people travel. I like the idea of halving things to make your budget less. That totally makes sense and I have never thought of that before! Thanks Sophie! :) Halving things (especially food) is probably our favourite & easiest “hack”. Also keeping snacks on hand always – having to buy overpriced food is the worst! Nice post and as fellow Canadians we’ll check their blog. We’ve been travelling full time over a year now so relate to much of what they have to say. And in the end, you might be packing all this stuff but all you really need is a passport, laptop and yup, coffee. Glad you enjoyed the interview Frank! And definitely head on over to check out their blog :) Happy travels! Loved this interview! Traveling with your partner is such an amazing experience, and it definitely can be done for less money than many people realize! We’ve been traveling and living in Asia for 4 years, and like you said, “there is something deeply satisfying about continually having your curiosity tickled.” I still feel that way almost every day! So glad you enjoyed the interview Jen! And congrats on being on the road for 4 years – that’s amazing! Asia is definitely the place to base yourself – so much to do you could spend a lifetime exploring everything the continent has to offer. Keep traveling, and here’s to continually having our curiosity tickled each and every day :D! Yes, I love knowing that there are other there are other thrifty traveling couples out there! Normally I feel like my husband and I are so cheap…but at the same time we’ve already spent 3 years living and traveling off our savings with another 2-3 years left. Absolutely Jessica – thrifty is the way we all stay on the road! I would much rather spend less but see more if it meant the ability to travel for an extra 2-3 years. We felt the same way about our jobs back at home… I was always scared to ask if I could have 5 week days in a row off once a year. That’s not how it should be. Trading our full time unfulfilling jobs for travel was the best thing we did. So glad to learn more and more people who have done the same. Also, you guys have some great traveling couple advice! Thanks for the great read! Absolutely Megan – it’s very easy to become lost in routine, but when you do that and prioritize your job over your life, you end up missing out on life itself. There really is such a huge movement rising up who are beginning to do the same, to pursue the same path of full time travel and working from the road. And why not – in the internet age truly anything is now possible! What a great interview. We’ve admired Thrifty Nomads for quite some time and have used many of their tips for our current RTW trip. Their comments around couples travel struck a chord; It can be hard but it is certainly very rewarding. Moneywise, travelling as a couple, we’ve found it cheaper to get double rooms than two dorm beds in most places we’ve visited, and we’re currently staying in an AirBnB in Bangkok for much cheaper than a hostel. It’s wonderful. Anyway, great interview as always! Hi guys, thanks for stopping by – so glad you enjoyed the interview. Jen & Ted are great! And I agree with you re couples travel – I did love my days as an independent solo traveler but since marrying Mike it’s not just having a person to share those experiences with, our food costs have been cut in half, our accommodation is cheaper – we’ve realized we can make our money go farther when we’re traveling together. Go figure! One of my favorite from this interview too :) Thanks for stopping by Allan … happy travels! Inspirational post. Loved to learn that one can travel with less money and can have a lot of fun and activities. Thanks for sharing the useful tips.